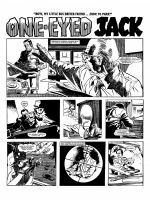 BEFORE JUDGE DREDD, JACK McBANE WAS THE LAW! 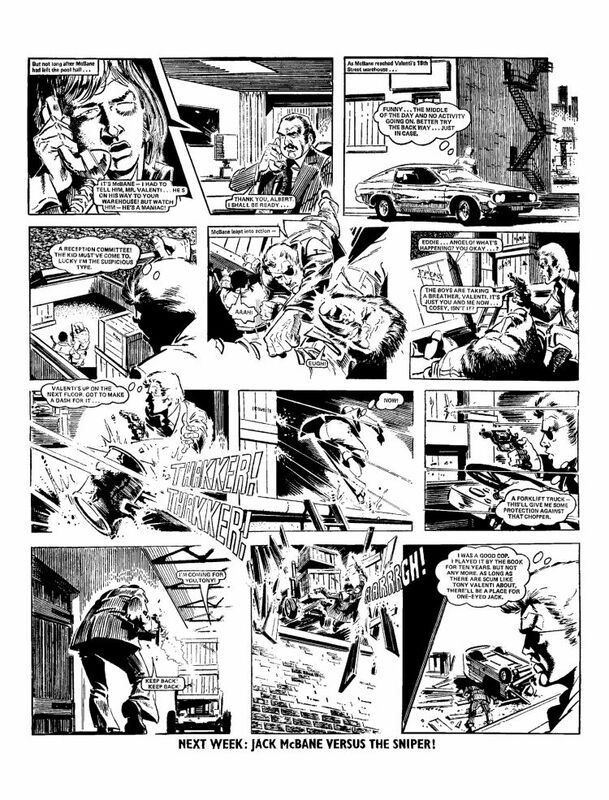 Variant 1 of 2 in the series. 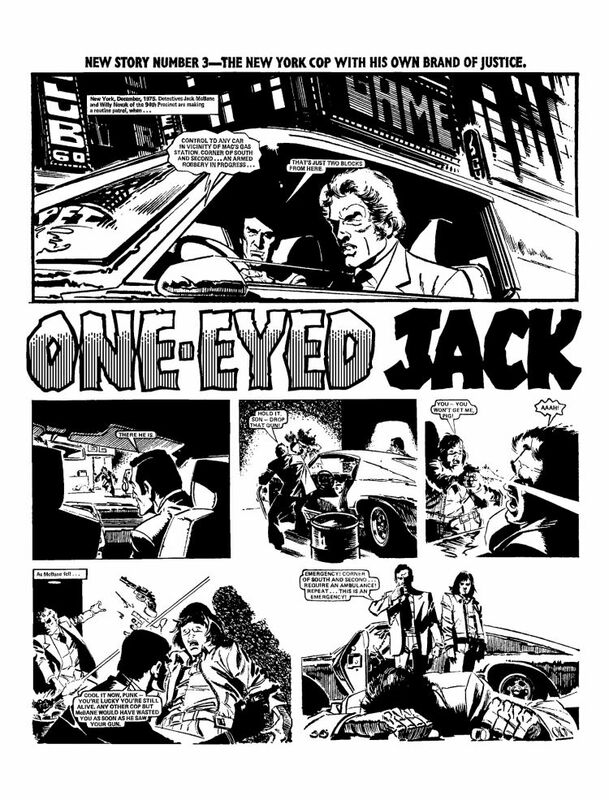 Part Dirty Harry, part Judge Dredd, ALL BADASS! 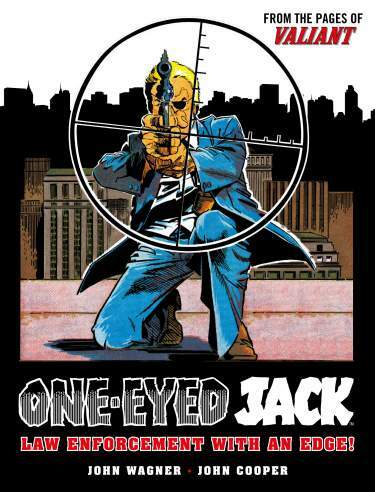 Police Detective Jack McBane is the toughest, meanest law enforcer in 1970s New York City. 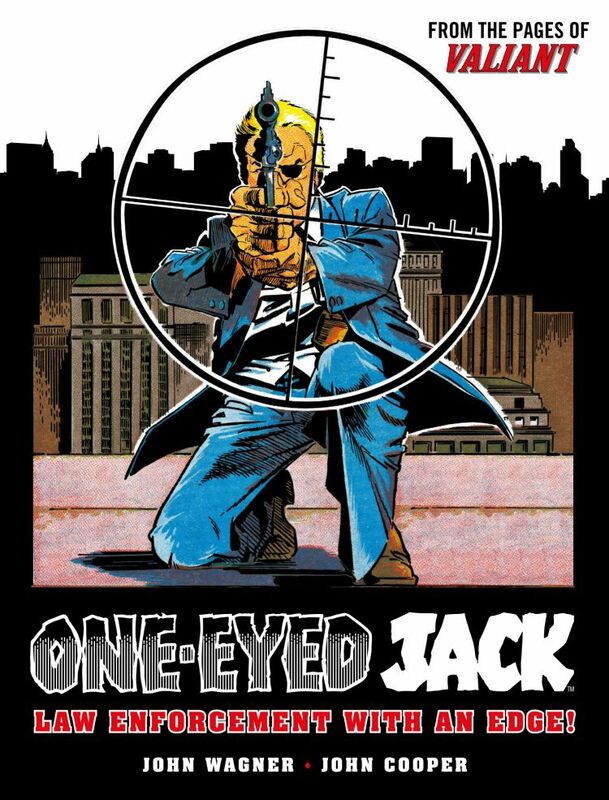 Despite having lost his left eye in the line of duty, McBane will stop at nothing to rid the crime-infested streets of scumbags and villains – even if it means having to occasionally break the rules! 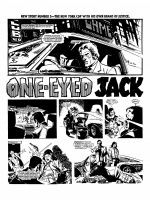 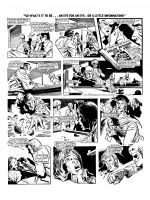 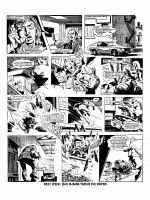 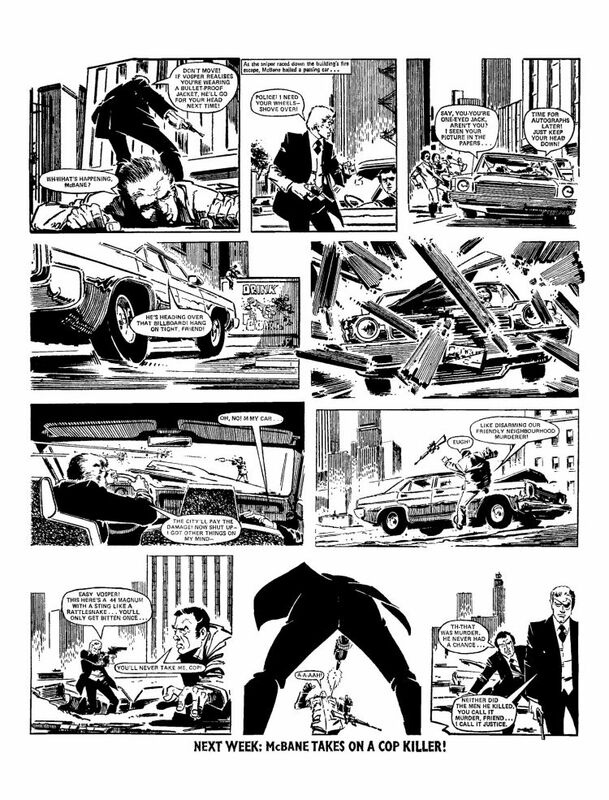 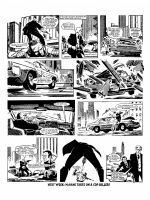 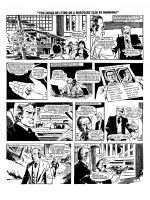 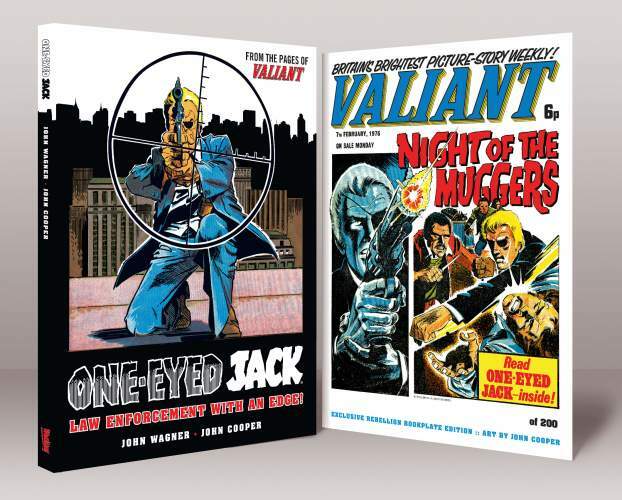 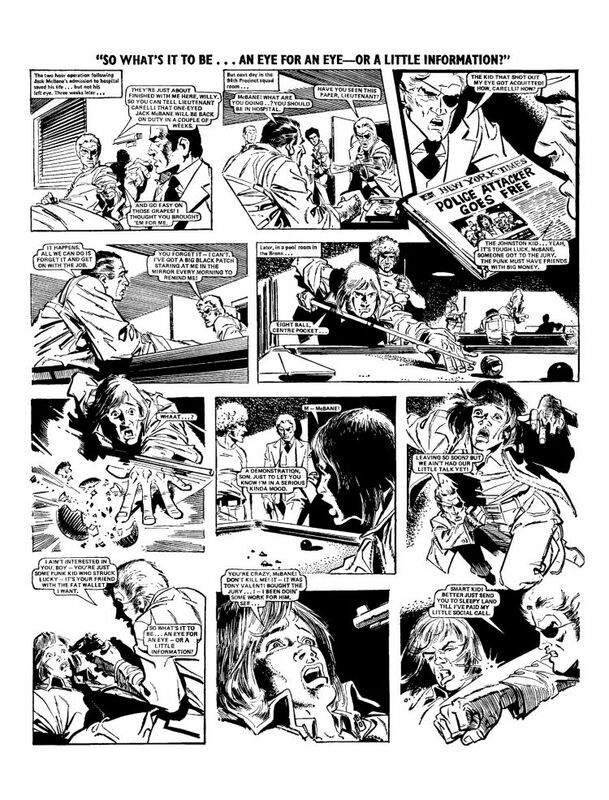 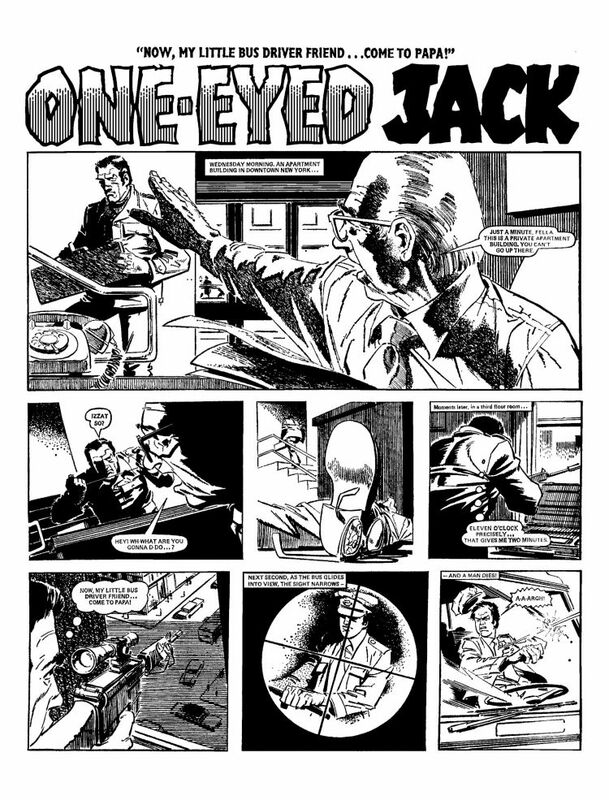 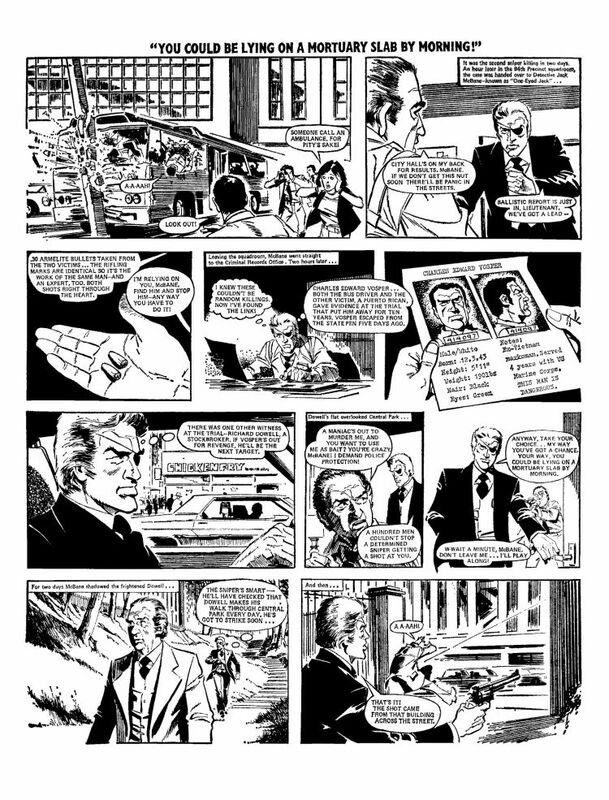 Written by John Wagner and featuring the dynamic artwork of the late John Cooper, One-Eyed Jack is a seminal comic strip which helped shape and change the course of British comic books forever.